Finally, you can read for yourself about the controversial allegations of sexual harassment that eventually led to the departure of Hewlett-Packard’s CEO Mark Hurd from his job. Here’s the entire letter. Yes, that letter. AllThingsD has finally obtained the June 24, 2010, letter that celebrity attorney Gloria Allred wrote to Hurd, then-CEO of HP, on behalf of Jodie Fisher, the onetime actress and marketing contractor who had worked for HP as a greeter and hostess at company events. It was set to come out soon enough, following a decision earlier today by the Supreme Court of Delaware requiring that its contents be made public. And it is as full of drama as expected. “It is appalling that you would use HP revenues for the purpose of procuring female companionship and romance under the guise of HP business,” reads the letter, in a more sedate part. He-said-she-said aside, as you’ll read below, the letter — copiously and often in soap-operatic terms — details the alleged sexual harassment and other improprieties that ultimately led to Hurd’s resignation from HP in 2010. But the first letter, which is the most critical and which contains only minor redactions, is where it all started. It outlines a two-year period beginning in 2007, during which Fisher accuses Hurd of engaging in an “uncomfortable dance,” of variously pursuing her romantically and then backing off as she voiced discomfort with the situation. This happened over the course of working on a contract basis as a hostess at six HP events, for which Fisher was paid $30,000. The first incident described in the letter occurred in October of 2007 at the Ritz Carlton Hotel in Atlanta, when Hurd and Fisher had dinner together after an HP event. Hurd told Fisher that he was about to fly to China to meet Madame Wu Yi, China’s vice-premier. “As you were walking back to the Ritz, you invited Ms. Fisher to come up to your room. You said there were some documents that you wanted to show her pertaining to Madame Wu Yi,” the letter read. It then describes how a distraught Fisher called her Alcoholics Anonymous sponsor seeking advice before going to Hurd’s room. Fisher, the letter noted, had been clean and sober 20 years by this time. The sponsor said that Fisher didn’t have to do anything that compromised her integrity. Thus reassured, she went up to Hurd’s hotel suite, where Hurd asked her to stay the night. Fisher’s reply: “Absolutely not. I barely know you and you are my boss.” An hour later, after more alleged pressure from Hurd, Fisher said she wanted to leave and did, the letter said. Asked to dinner with Hurd again the next night, Hurd admitted, the letter said, that he “didn’t handle that right,” but then proceeded to tell her how many women liked him, including the singer Sheryl Crow. Fisher was the lucky one, the letter said Hurd told her. The situation continued two months later at an HP event in St. Louis. Hurd, the letter said, told Fisher that he was frustrated that he was “doing all the work” in the relationship. Fisher, the letter recounted, again told Hurd she wasn’t interested in him romantically. Later, the letter said, Hurd kissed her on the lips and quickly walked away. In January of 2008, the letter read, Fisher was scheduled to work at an HP event in Toronto. As she was boarding her plane to fly there she received a call from Hurd’s assistant, Caprice Fimbres, saying that the event had been cancelled. She later learned it hadn’t been cancelled. Hurd had told Fisher, the letter alleged, that he regularly slept with one woman in New York and another in San Francisco. Fisher suspected that the “New York woman” flew up to Toronto on short notice and that this is why she was told not to come to Toronto. It goes on … and on. At another meeting in Madrid in March of 2008, Hurd wanted to walk around the city with Fisher and sought to impress her, the letter said, by showing her a million dollar balance on an ATM machine. In a serious corporate allegation, also during the Madrid trip, Hurd allegedly called her room and told her about a then-undisclosed deal in the works, in which HP was going to acquire the tech consulting firm EDS. Fisher had heard of the company, having lived before in Dallas. Hurd told her to keep what she knew about the deal secret. This back and forth continued for another year and a half, the letter said, with HP global events in Philadelphia, Boston, Boise, Idaho and Tokyo. Yet Hurd would always engage her again, the letter recounted. But, by 2009, the letter said, it was clear his patience was wearing thin. She told him, the letter said, that she wasn’t interested in dating a married man. At this point in the letter, a lengthy passage was redacted. Sources familiar with the matter said the sections deal with the state of Hurd’s marriage at that time. Hurd, the letter read, persisted, offering Fisher more HP events and a $100,000 a year job. “With [Hurd’s] obvious growing irritation with her put-offs, these opportunities never came to pass,” the letter said. Finally, at an October 2009 meeting in Boise, Hurd allegedly grabbed Fisher and kissed her. Fisher said she wasn’t feeling well and wriggled free. The letter threatened a lawsuit, but offered an out-of-court settlement, which was concluded on August 4, 2010. Upon further reflection and review, I wanted to clarify certain issues related to the correspondence that was sent to you on my behalf on June 24, 2010. First, I do not believe that HP engaged in any inappropriate conduct towards me in any way. Second, there are many inaccuracies in the details of the June 24, 2010 letter. I do not believe that any of your behavior was detrimental to HP or in any way injured the company or its reputation. The Delaware Supreme Court ordered the first letter from Allred to Hurd released after he lost an appeal to that court seeking to keep it under seal. The court handed down its latest decision on Wednesday. Hurd had intervened in a shareholder lawsuit against HP earlier this year, in which an HP investor, Ernesto Espinoza, sought to make public the Fisher letter as well as the contents of an internal HP report on the matter. Espinoza had argued that shareholders are entitled to read them in order to investigate possible corporate wrongdoing and waste arising from the relationship and Hurd’s subsequent resignation, including information about Hurd’s severance package from HP. The letter led to a sequence of events that prompted Hurd to resign as HP’s CEO on August 6, 2010. An internal HP investigation conducted on behalf of its board of directors exonerated Hurd of the sexual harassment claims, but found inconsistencies in Hurd’s expense reports that it said violated HP business conduct policies. 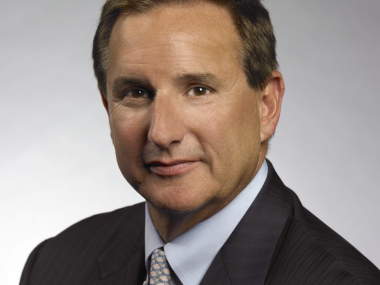 Exactly one month after leaving HP, Hurd joined Oracle as co-president, following a series of blistering comments by Oracle CEO Larry Ellison defending Hurd and excoriating HP’s board of directors.